In the last couple of years, City Break has become a popular form of tourism that includes short stays in one of the most famous tourist destinations. Because of the many commitments, people today can rarely find more days in their busy schedule for quality holidays. That leads to finding the right option which will fit the schedule and will lead to the so needed vacation. One weekend should, therefore, be enough to finally escape from your city and visit some of the famous destinations. Weekend City break is a right option because it gives you a chance for a good vacation where you won't have to spend a lot of money or it gives you the opportunity for a shorter stay if you are a type that doesn't like longer vacations. Many people today use this kind of vacation as a way to spend quality time with their closest ones, especially if they are prevented due to their obligations. Spring has begun which means the weather is getting warmer and more pleasant, meaning that now is an ideal opportunity to visit one of the towns on the Adriatic coast. In order to help you choose the right one for you, we have decided to compile a list. We start our list in Istria, which has always been one of the favorite tourist destinations in Croatia. 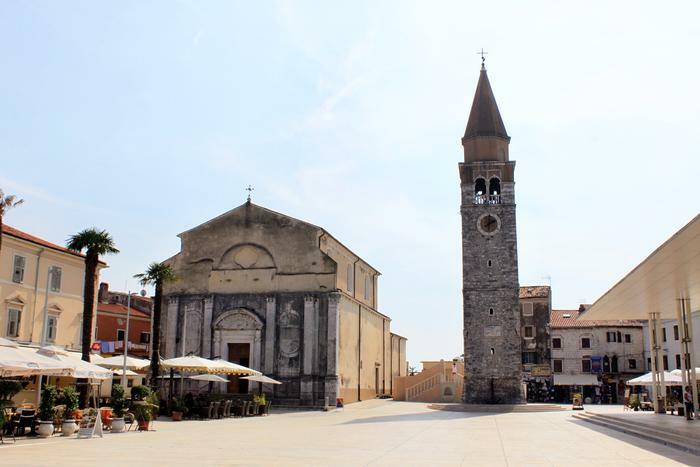 The first town you should consider if you want to escape somewhere for the weekend is Umag. A town that was built on the ruins of the former famous Roman resort. What makes it interesting on a first is its appearance. The bell tower of the parish church of the Assumption of Mary is dominating if you are looking the town from the distance and around the church, there are old houses that will remind you of the architecture of Venice. It should not be surprising because Italy has left a great impact in this area during its long-standing rule. Apart from architecture, the influence has spread to other spheres of life. Due to the great historical significance, you will have a great number of sights to visit. Museum of Umag is certainly recommended, where most of the artifacts, which date from the Roman Empire, are exhibited. Umag is an ideal city for a peaceful vacation with family and friends. Aside from relaxation, you will be able to enjoy many sports activities, especially tennis. Tennis is the most popular sport thanks to the international ATP tournament held each year and attracts a large number of fans of this sport. One other thing that makes it suitable for vacation is the climate. 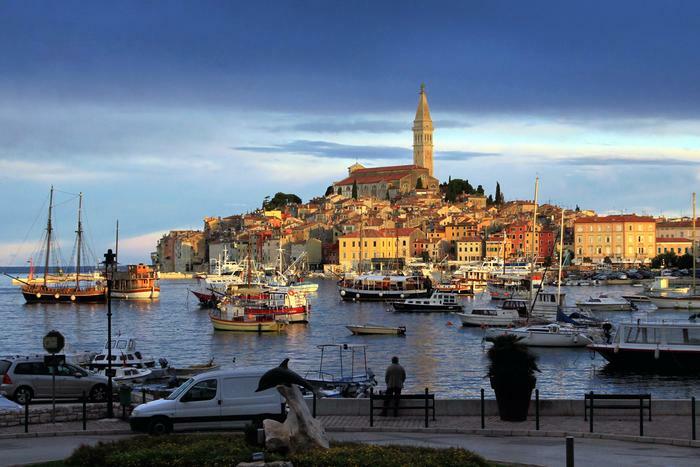 A little south of Umag is another Istrian pearl, the town of Rovinj. The structure and appearance of the town are similar to Umag. The reason is that at the time of the emergence, the first settlement was built on the island and was enclosed with walls that are still visible today. Because it was built like a fortress, Rovinj center has a partially hilly appearance and the old core is very compact with many narrow streets. The many years of Venetian and Italian rule in this area can be noticed through various motifs in the city's architecture, but also in culture. All visitors of Rovinj should visit the central basilica dedicated to the Holy Euphemia, whose high bell tower is one of the most recognizable and important buildings and was built as a replica of the church bell tower of St. Mark in Venice. You can freely wander through the narrow streets of the city that hide interesting bars and restaurants. Rovinj is one of the most photogenic cities. Its streets hide numerous amazing scenes that can be ideal for your photos. If you have decided to visit Rovinj with your family and friends, the ideal opportunity for a trip would be to ride with a boat through the Rovinj archipelago. For visitors looking for something more than nature excursions and sightseeing, an event like the Weekend Media Festival that brings together leading world experts in the field of communication and marketing will keep you occupied. You are probably wondering why would a city know for industry and shipbuilding be on the list of desirable weekend destinations on Adriatic. As they say, the don't judge a book by its cover, because Rijeka is a city that hides numerous surprises. During the Austro-Hungarian period, Rijeka was an important port and industrial center, and this status remained at the time of Italy's rule. The influence of various rulers gave a seal to the final appearance of Rijeka. 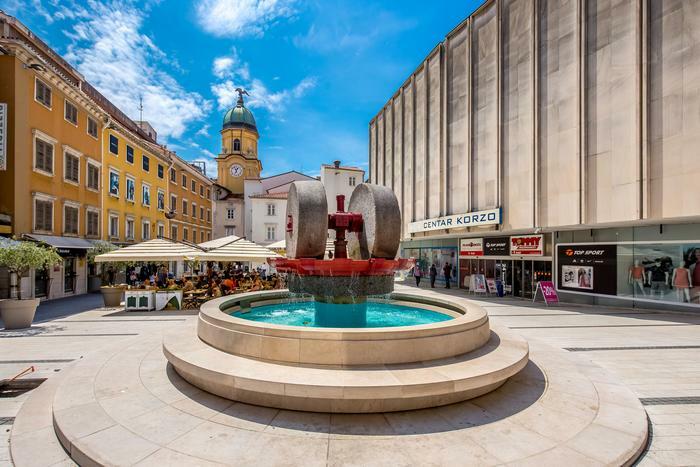 In addition to the famous promenade Korzo, you can also enjoy other sights such as the Church of St. Vid, the Modello Palace, the beautiful building of the Croatian National Theater and many others. Certainly worth mentioning is the medieval fort Trsat, from which you can enjoy in a fantastic view of the entire city. The third largest city in Croatia will delight you with a large number of smaller and hidden beaches, many of which are the proud owners of the Blue flag. You can complete the travel schedule by visiting one of the many museums that Rijeka has in its offers such as the Natural History Museum and the Museum of Modern and Contemporary Art. You should not miss the famous astronomical center, but also the old launch station and the first torpedo factory. It is well known that the first torpedo was invented in Rijeka by the Croatian inventor Ivan Lupis. If you are looking for a different and more challenging kind of fun, go to the renowned Grobnik autodrome that has been home to octane sports since 1978. From the north of Croatia, we are going south to Dalmatia and the city of Šibenik. Known as "Krešimir City", because it was the home of Croatian medieval king Petar Krešimir, Šibenik is known for many interesting things. One of them is the use of number 4 in city architecture. Namely, due to frequent siege and illness through history, a water reservoir system known as the 4 wells was built in the city. It is interesting that there are also 4 fortresses in the city, such as Barone, Fortress of St. Nicholas, St. Mihovila and St. John. 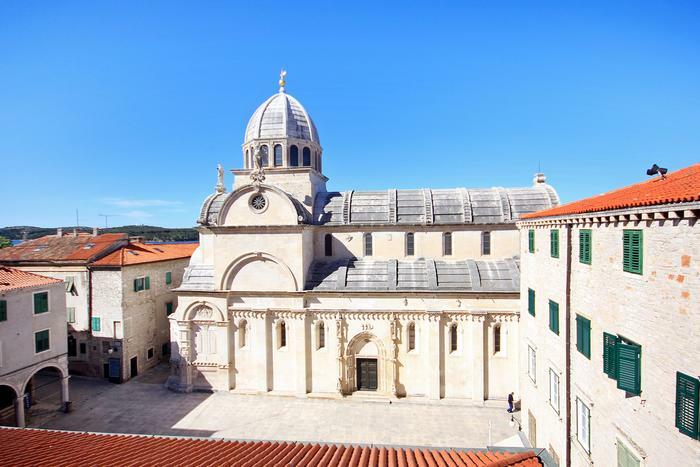 By coming to Šibenik you should not miss the opportunity to visit the cathedral of St. Jacob also listed on the UNESCO World Heritage List. Apart from the beautiful old core, Šibenik will delight you with numerous music festivals. A great advantage will be the proximity to one of the most beautiful areas in Croatia, namely the Krka National Park and the Kornati National Park. Šibenik is a city where you can easily go through the most important sights in one weekend and where the rich gastronomic offer and the kindness of its locals will make your stay more enjoyable. 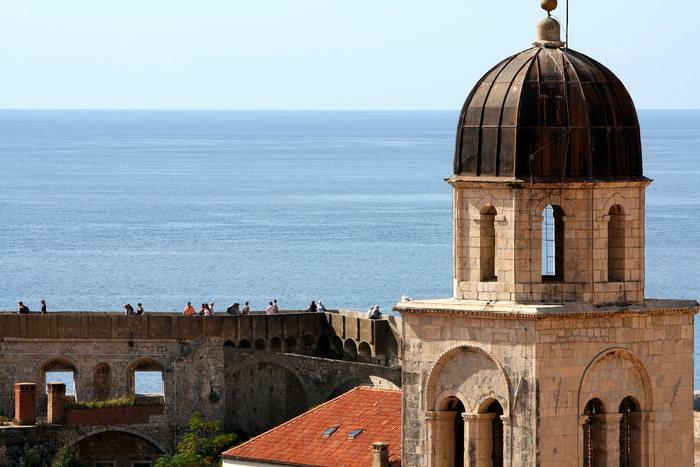 Spring is one of the best seasons to visit Dubrovnik because you will be able to enjoy its beauties and avoid bigger crowds and high temperatures. A city that has been an independent republic in history is one of the world's most famous tourist centers, and due to unique appearance, it served as a set for Hollywood films and tv shows. The old town is full of sights built in different styles, dominated by Renaissance and Baroque motifs. 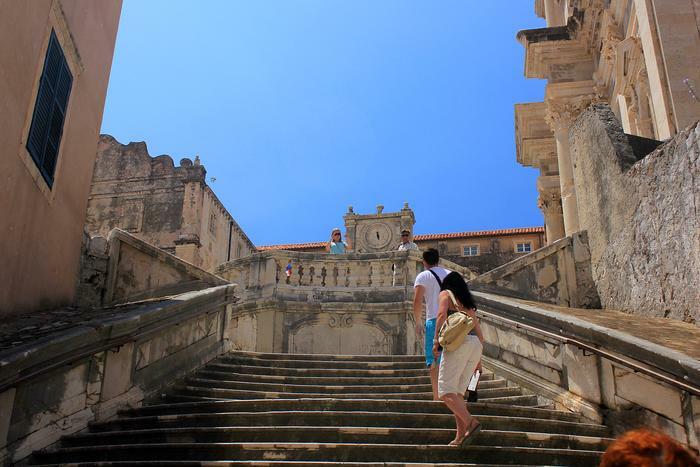 Besides numerous sacral buildings, forts, Stradun promenade, Dubrovnik offers other interesting options. For example, you can go to the nearby island of Lokrum where the locals usually go when they are looking for peace and quiet. One of the main attractions on this island is a small lake called "The Dead Sea" where you can also swim. If you want to have a spectacular view of the entire Dubrovnik, it is recommended to go to the Srđ hill with a cable car. For true adventurers, you should stay on Srđ and enjoy its natural beauty on a safari adventure with "buggy" vehicles.